“The Maidstone Osteopathic Clinic was established in 1949. In the lean post-war years our schools and associations were slowly recovering from the stasis of war-time with but few students and no clinics outside the metropolis. Lacking premises and money the beginning was inauspicious and it was not until 1953 that the clinic was finally housed at No. 30 Tonbridge Road. During those four years much spade-work had been accomplished; a management committee had been formed, a student sponsored for training at the British School of Osteopathy, an almoner engaged and the charity formally registered. With the qualification and emergence of our first student/graduate and the new premises prepared, the superintendent and almoner were installed, supported by an X-ray machine and a supply of patients. At this stage in our development the Constitution and Rules were prepared and published. These made provision for the treatment of those in need of osteopathy and to further the education and training of students and graduates in osteopathy. The main objective, however, was the foundation of a hospital to be called the Littlejohn Memorial Hospital, in honour of the Founder and Dean of the British School of Osteopathy. The students sponsored by the Clinic at the British School of Osteopathy in the 1950’s all qualified; among them was Timothy Ringland, John Wernham’s nephew. 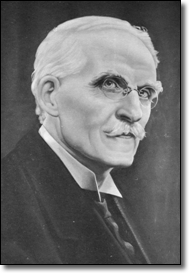 John Wernham was always intent on preserving the original concept of osteopathy, particularly as it was taught by Dr. John Martin Littlejohn, and in which he himself had been trained. As modern trends began to move away from this original teaching, in 1984 he opened the Maidstone College of Osteopathy (undergraduate level)devoted entirely to Classical Osteopathy. “So, we have a mandate, a trust that is placed before us and of which the College is the representative. The Clinic has provided a public service in the county for almost 40 years that is based entirely, and exclusively, upon the teaching of the old protagonists of osteopathic practice, a system, and method of manipulative medicine that is without equal. We have a tradition of rather more than a hundred years. The Maidstone College of Osteopathy was renamed The John Wernham College of Classical Osteopathy in 1996 in honour of its Founder. The Diploma of Osteopathy course became a BSc(Hons)degree course, the first group of students graduating in 2000. The College currently teaches Classical Osteopathy at Postgraduate level. John Wernham began his career in Fleet Street but it was interrupted at the invitation of J. M. Littlejohn to study Osteopathy in 1928. This was no small problem but many students at that time were people who had been recruited from other jobs and the decision was not long in the making. From that time onwards, for over 70 years, John Wernham studied, lectured and practised in accordance with Dr. Littlejohn’s teaching and, in addition, produced a considerable library of osteopathic texts dealing with the Principles, Technique and Practice, as they were laid down by Dr. Littlejohn. In 1984 John Wernham founded the Maidstone College of Osteopathy devoted to the teaching of Dr. J. M. Littlejohn. 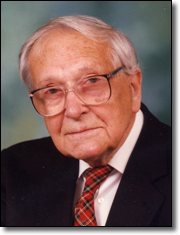 The College was renamed The John Wernham College of Classical Osteopathy in 1996 in honour of its Founder. The College continues the legacy left by John Wernham through the Clinic, Postgraduate Courses on Classical Osteopathy, and publishing the texts. John Wernham was practising, teaching, writing and publishing up to the time of his demise. He was in his 100th year. John Martin Littlejohn graduated from the University of Glasgow where he obtained degrees in the Arts, Divinity and Laws. In 1892, he was awarded the Hunter Gold Medal in Forensic Medicine. In America, he studied Medicine, Political Philosophy, Economy and Finance, at Columbia University producing his thesis entitled “The Political Theory of the Schoolmen and Grotius”. Having received treatment from A. T. Still he enrolled as a student at Kirksville where he lectured in Physiology. Following graduation, he established the Littlejohn College of Osteopathy and Hospital in Chicago from 1900, where he taught and practised until 1913, when he returned to London and established the British School of Osteopathy in 1917. Between the two great wars he was the central figure in osteopathic teaching and practice in the United Kingdom until his death on 8th December 1947.